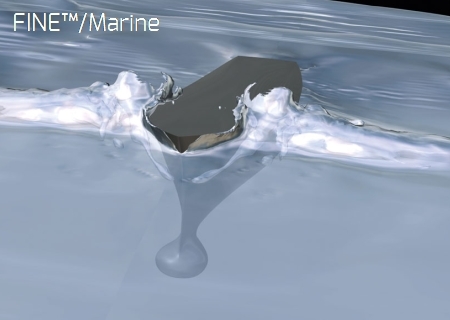 FINE?/Marine is an integrated CFD software environment for the simulation of mono-fluid and multi-fluid flows around any kind of ships, boats or yachts, including various types appendages. ISIS-CFD , our 6DOF incompressible flow solver, recognized as having the best accuracy for all types of marine applications, including free surface capturing. ISIS-CFD is developed by the Ecole Centrale de Nantes (ECN) and CRNS and industrialized in partnership with NUMECA. CFView , our powerful post-processing and scientific visualization system offering all qualitative and quantitative tools and marine dedicated add-ons for flow visualization and analysis.